family's turmoil, the only one bold enough to tell the tale of Flint and Cecile, her sister's dangerous children. At sixteen, Flint has spent eight years of his life in juvenile detention. Half child, half full-grown criminal, he escapes from the Landers School for Boys and comes home to find the one person he loves and trusts, his little sister Cecile. Together they rob and terrorize a local doctor, steal their mother's car, then strike out alone on a desperate journey south to the Crow Indian Reservation, where their ancestors once lived. Is Cecile Flint's hostage, or his accomplice? Nobody knows. Only Marie, the children's deaf aunt, understands the strange logic of their crimes, their desire and fear, their devotion to each other. 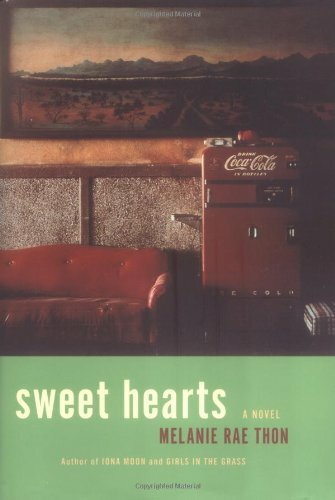 Fusing family myth with American history, SWEET HEARTS exposes a never-ending chain of wandering and abandonment, the disappearance of mothers, the drowning of people. It is a devastating story, one woman's silent struggle to unravel the web of violence that has trapped her family for generations. This passionate tale is also a celebration of life in the midst of sorrow. In the fierce light of her imagination, Marie Zimmer weaves the past through the present, inventing a language of signs subtle enough to illuminate the mysterious ways in which we are all connected.